Will You Be Going to Oktoberfest Lake Highlands, September 29? Make Plans to Attend Oktoberfest Lake Highlands 2018 @ 8015 Doran Circle, Dallas, TX, 75238. We love this Lake Highlands Event! Find Details on Oktoberfest here! Including Event Maps, Event Tickets, and Official Event Links. Go to Oktoberfest and do your own thing, Be creative. 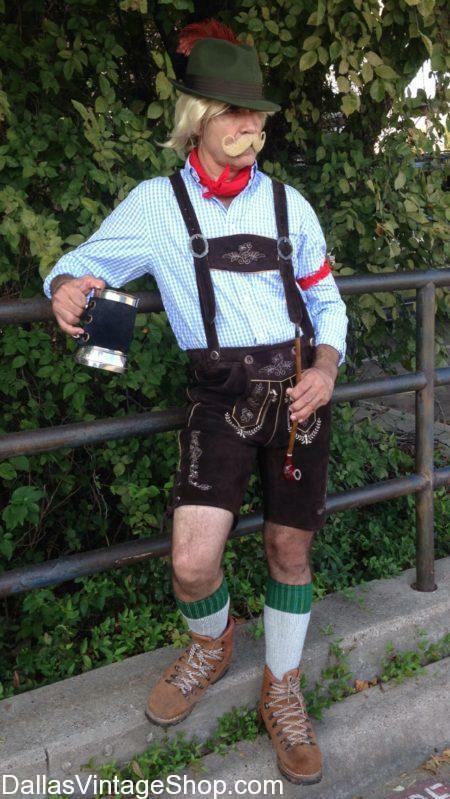 Stroll around Lake Highlands in Oktoberfest Festive Attire like This fellow in Lederhosen, Alpine Hats, Hal Shoes, and Knee Socks. Invite your friends & family along and make a long weekend of it. You are invited!